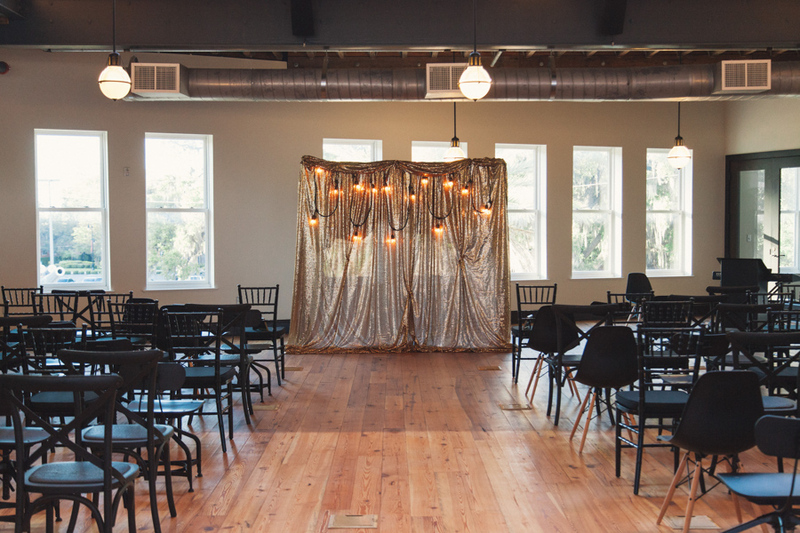 Laura and Kyle chose The Oxford Exchange in Tampa for their wedding venue. 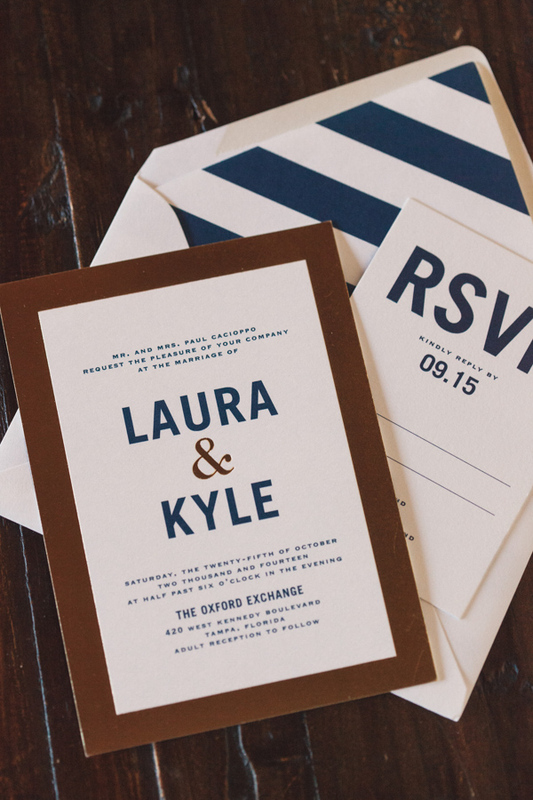 It was a very contemporary, chic, and unique wedding celebration with a lot of personality. 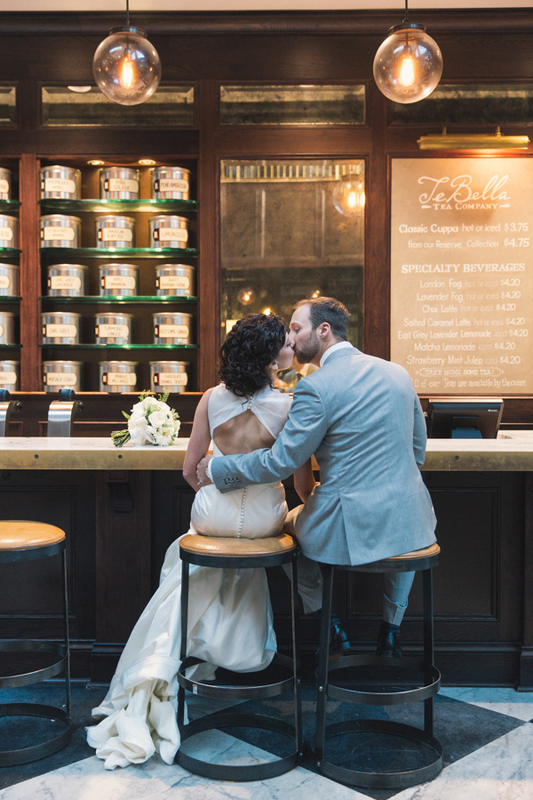 With all of the smart decor, the venue’s interior allowed Laura and Kyle to celebrate without sticking to traditional designs. 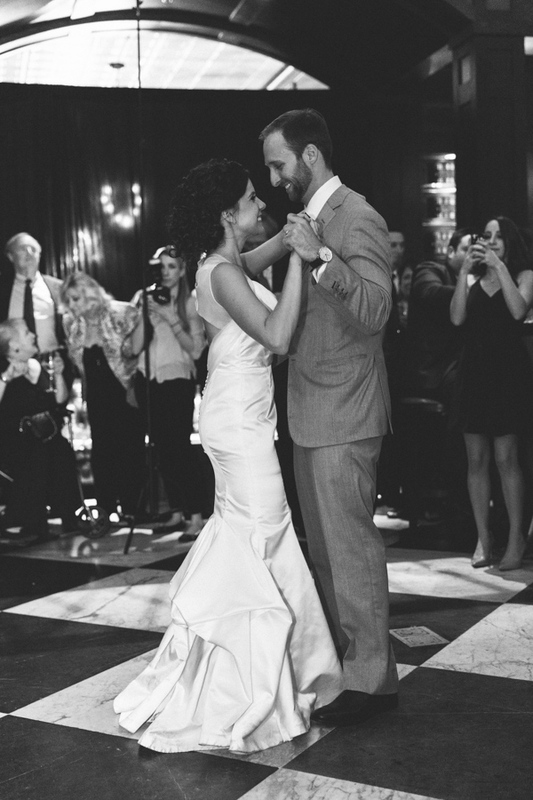 Many thanks to K&K Photography for the amazing photos and allowing us to share such great memories. 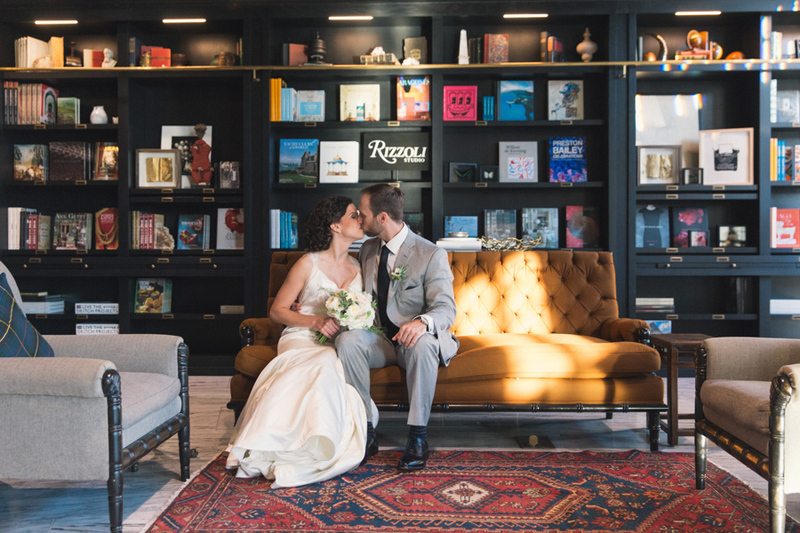 Laura and Kyle sharing an intimate kiss on the sofa, surrounded by books. They are such a sweet couple. 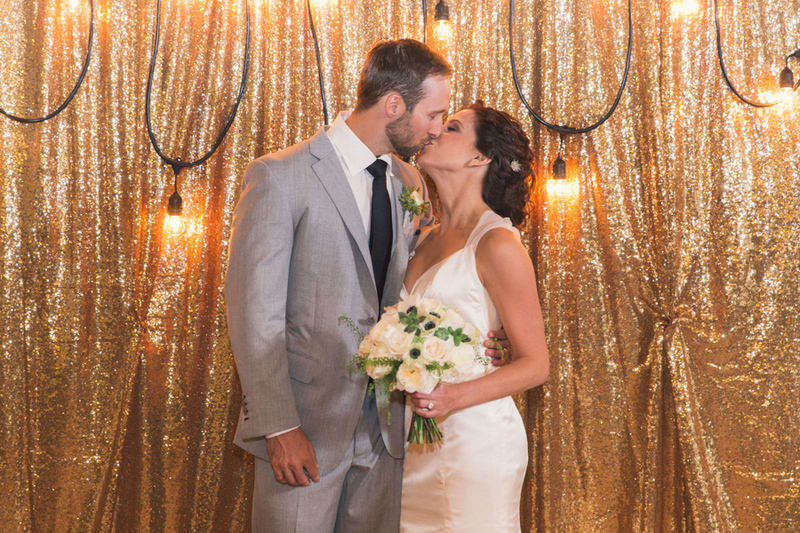 Laura’s ivory dress complimented her organic and neutral-toned bouquet and Kyle’s silver suit with navy tie looked so stylish and matched very well with the overall look of the wedding. 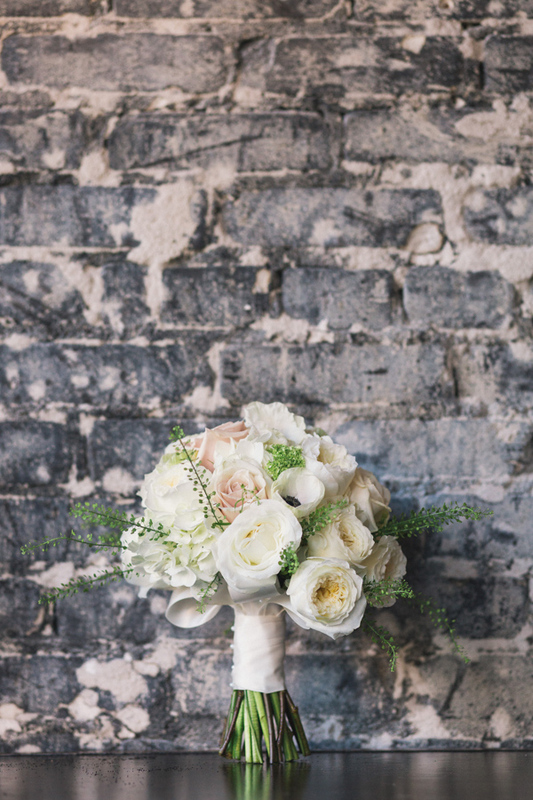 Laura’s gorgeous bridal bouquet. 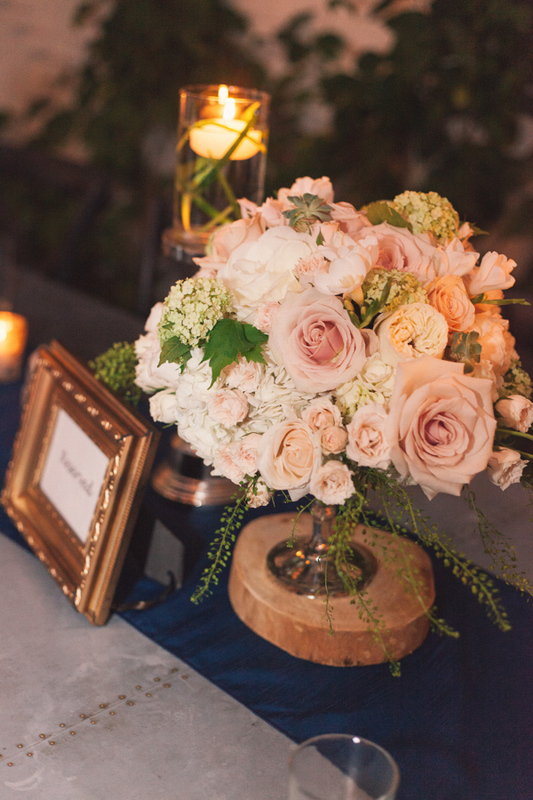 It consisted of hydrangea, roses, garden roses, anemones, green viburnum, explosion grass- all of which were neutral in color and cool to the eye. 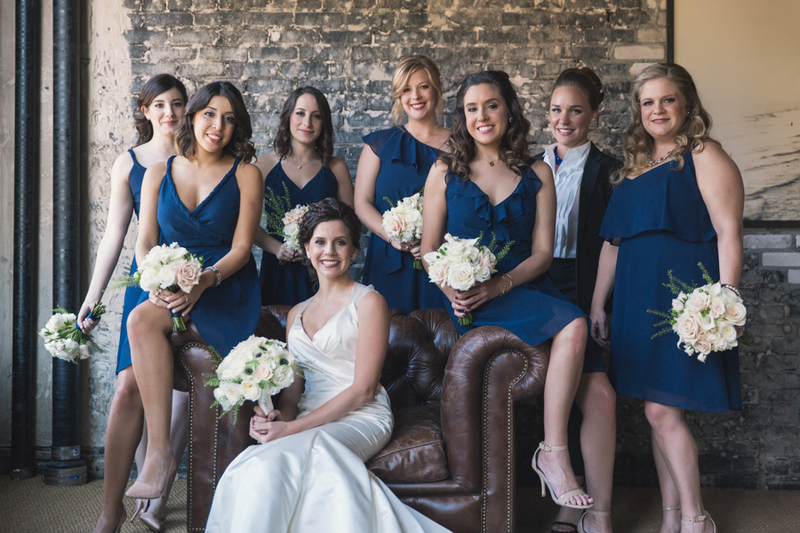 Laura and her beautiful bridal party! 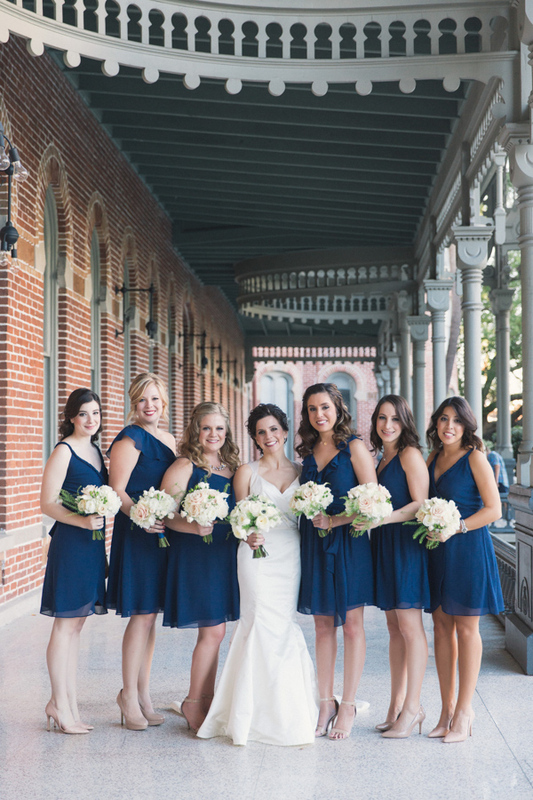 All of the bridesmaids’ bouquets resembled the bridal bouquet and went very well with their navy dresses. The Groom Kyle and his Groomsmen. 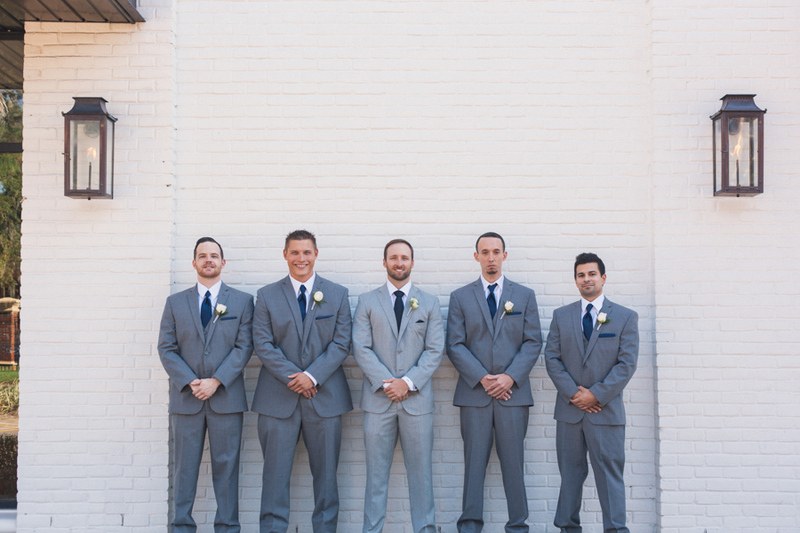 The groomsmen picked a slightly darker colored suit so that Kyle and his silver suit could stand out. A photo of the bridal bouquet from a different angle. 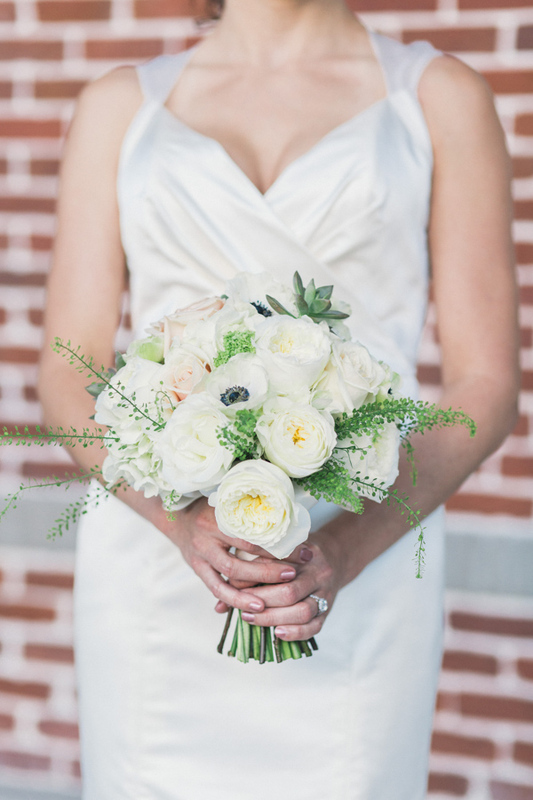 In this photo, you can see the succulents in the bouquet! 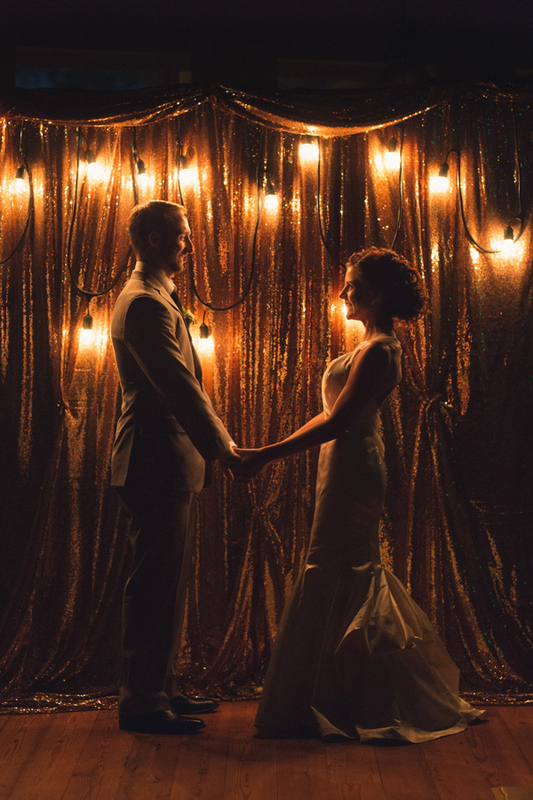 The ceremony was held upstairs and Laura and Kyle asked for a glamorous backdrop with hanging market lights to bring out a romantic, old-fashioned feel. 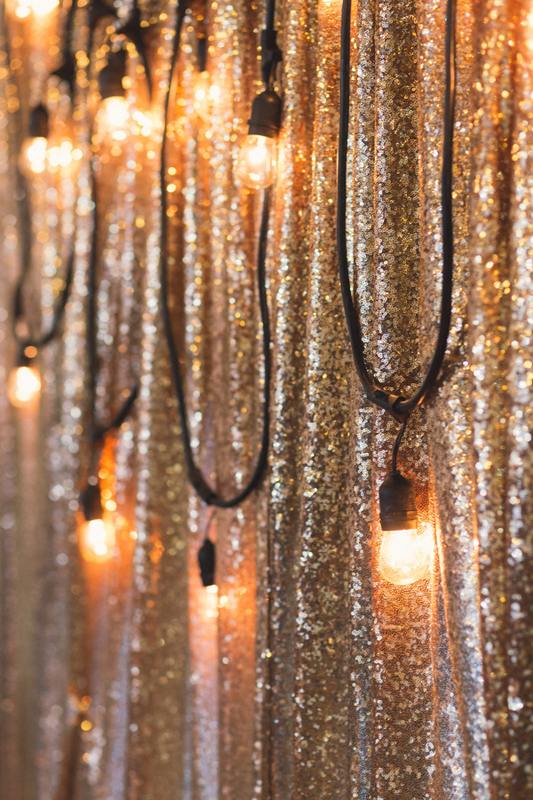 It was simply jaw-dropping as the gold sequin drapes sparkled beneath the dim lights and drew attention to the front of the room. 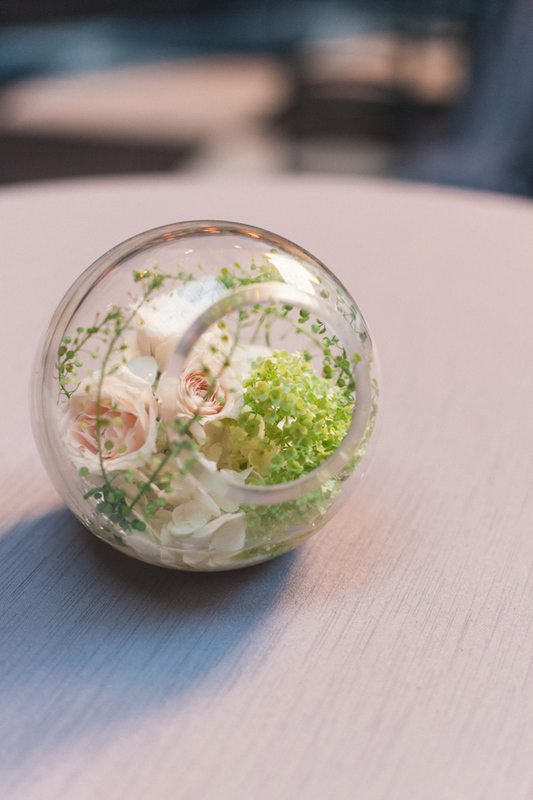 The cocktail hour arrangement was simple and clean with flowers and greenery placed carefully inside of a glass globe, on top of silver dupioni linen. 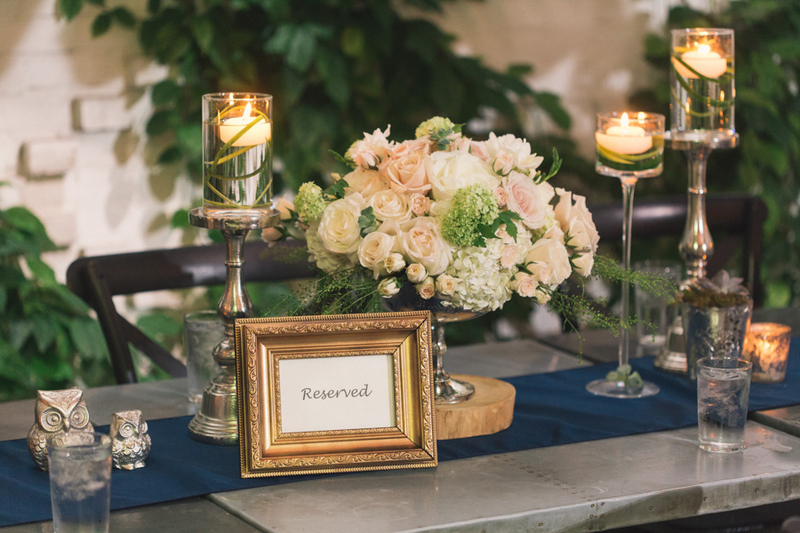 One of the looks for the reception table decor. 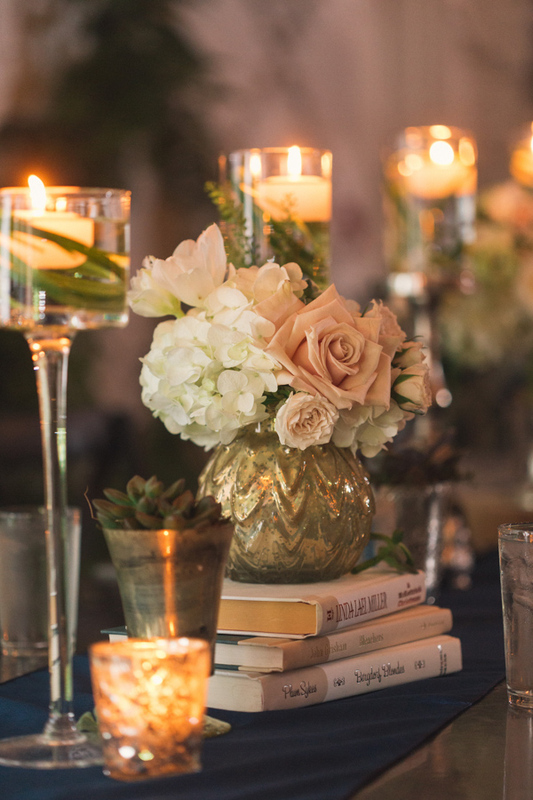 Small flower arrangements in mercury vases sitting on top of books…such a great idea! 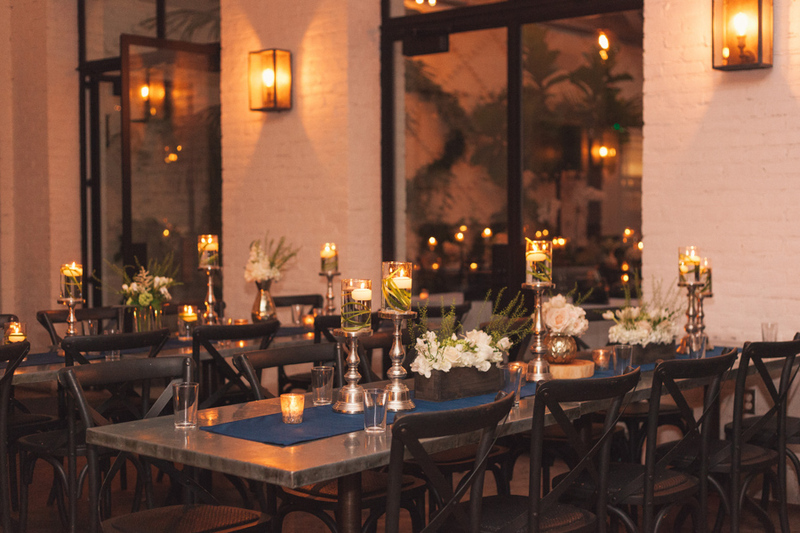 The navy blue runner allowed the centerpieces to flow beautifully with candles and potted succulents, creating a sophisticated yet earthy look. 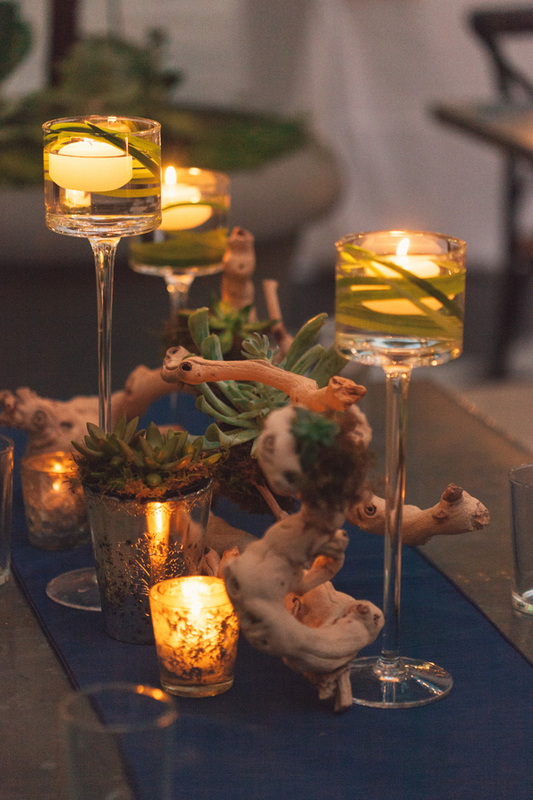 Here’s an even more earthy, unique look as this centerpiece consisted of succulents and moss “growing” on birch branch… this definitely does not call for a traditional wedding reception table centerpiece, although it is still rather beautiful. 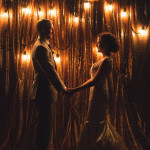 Laura and Kyle truly appreciated nature and didn’t hesitate to incorporate branches, tree barks, and plants throughout their wedding. 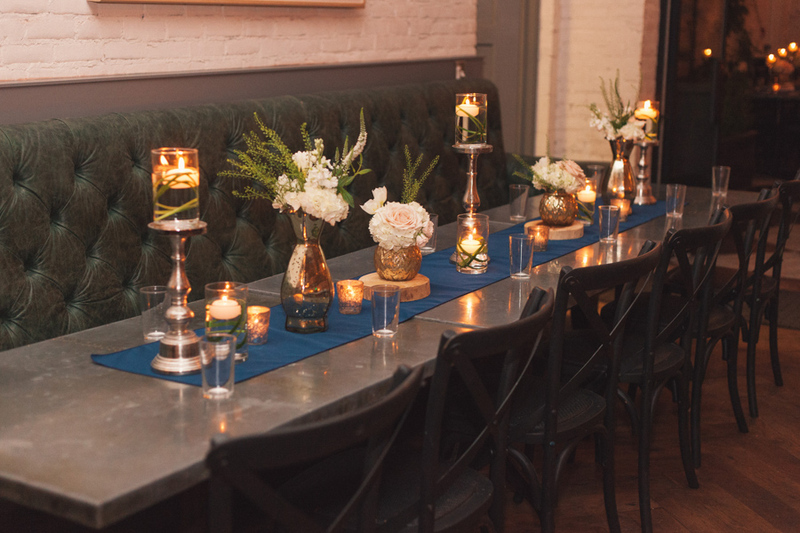 The table decor for the bridal party table… Check out the cute little owls!